A unique incident about how Vesper AIS protects your vessel and crew but can also be a lifesaver for others. On a dark and rough sea night, a capsized vessel with a crew of four, was stranded without any AIS on board. 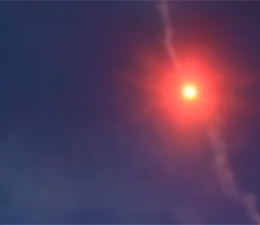 A distress flare was spotted by a nearby boat that had a Vesper AIS. They called the Coast Guard and helped rescue the sailors. The Coast Guard reached the scene thanks to the Vesper AIS. Vesper smartAIS transponders are supported by a growing set of third party mobile apps for iOS and Android smartphones and tablets. You can connect directly to the WiFi network of your Vesper smartAIS transponder and use these apps effectively. 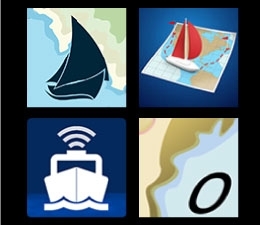 Overlay AIS, GPS and NMEA instrument data in your apps and monitor navigation from anywhere on the boat. Introducing our new logo. It's bold, simple and distinctly marine. The logo retains our brand colors and embodies our values of safety, innovation, reliability and service excellence. Dedicated to creating marine safety products with technically superior features, Vesper products are also easy to use. When you buy a Vesper product, you also receive outstanding technical support both before and after your purchase. Vesper Marine is coming to you, our customers, dealers and installers across the globe. See our new Vision2 in action, learn about smartAIS and other exclusive benefits of Vesper Marine transponders. 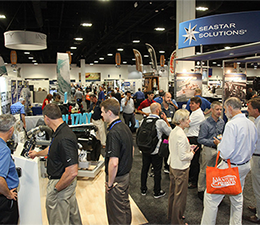 IBEX, NMEA and METSTRADE are important events for dealers and installers while Cannes, Southampton, Auckland and Annapolis are popular customer shows coming up in the next three months.